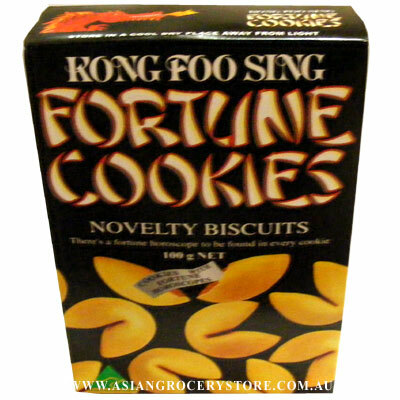 Minimum quantity for "Kong Foo Sing Fortune Cookies" is 1. Wheat Flour (52%), Sugar. Vegetable Oil, Maize Starch, Raising Agent (341,500),Flavour, colour (102,124), Antioxidant (307). Soy Lecithin used to assit in processing. May contain traces of Peanuts, Nuts and Seed.